Opera Software today released the first beta version of its flagship browser that uses the open-source WebKit rendering engine, making good on a pledge from February. Google, however, is ditching WebKit for its own variant, called “Blink,” andOpera has promised to follow in Chrome’s footsteps. The shift to WebKit is the first step. The updated rendering engine gives Opera 15 a score boost on things like HTML5test.com, up from 404 to 433 out of 500. A cursory browse of the Web suggests that the new browser does a decent job of rendering webpages. In many ways, that’s the point of Opera’s decision to drop its old Presto rendering engine and switch to WebKit. Opera’s low market share meant that regardless of the technical merits of its engine, many sites weren’t tested with it. Hence, compatibility was always a concern. WebKit doesn’t have that problem, and Blink shouldn’t, so by changing engines Opera users can expect far fewer issues. The new tab page has three sections. Opera’s most distinctive feature, Speed Dial, is the first of these. 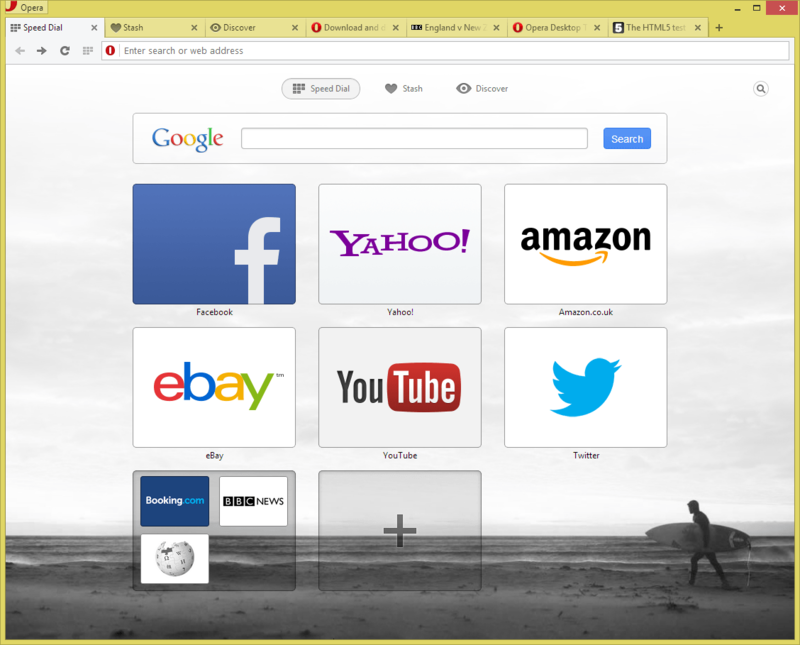 It shows big tile icons for sites that you visit regularly, with folders so that sites can be organized and kept tidy.